I was riding my bike to my friend’s house in the morning, It was a warm, sunshine day with no clouds, clear blue sky. I was riding on the raised dirt trail going from south to north along the Mount Anthony Union High School field on Park St in Bennington Vt. I was a little girl, in the summer of 1980 I would have been 10 years old . I stopped riding when I noticed a quiet, low, smoothly gliding big heavy black triangular craft over my head. Its width was wider than the road next to me. It was as high as double the length of the telephone poles next to me. The bottom surface of the craft was smooth, looked like a very dark grey matt brushed metal. There were no windows, wheels or any type of elements attached to the bottom, the bottom was perfectly smooth. I remember when it was over my head, it emitted coldness from it. I felt the coldness on my body, especially on the back of my bare neck and arms, gave me chills. I assumed it was cold from being high in the sky recently. It was gliding so low that I couldn’t see it once it passed me beyond the trees over the horizon of the tree lines. I was perplexed and looked around to see if anyone else was noticing this, I only saw one station wagon drive on the road down below me, driving in the opposite direction of the craft and the driver didn’t seem to notice anything, the driver was just looking straight ahead with a blank look on his/her face. After the craft left, I felt odd, overly relaxed, without any thoughts traveling through my mind during the rest of my bike ride, basically spaced out. If I remember correctly, the bike ride from my home to my friend’s house usually took about 12 minutes. At this point I was only about 2 to 3 minutes away from her home. When I got to her front door, I felt very relaxed, light headed and spaced out. She answered the door with an exasperation of where I had been, I was supposed to be at her home hours ago. She told me I told her on the phone I was leaving hours ago. And I typically would have done that, I would have left when I told her I was going to. I was confused by her confusion. She asked me if anything was wrong. I was confused, I couldn’t remember anything about my morning, past the moment I saw the craft. I couldn’t remember talking to her on the phone, I couldn’t remember leaving my home. I couldn’t remember my bike ride up to the point of seeing the craft. And up to this day, I don’t remember anything about that morning before I saw the craft. And I wasn’t so shocked by seeing the craft that it could have done that to my mind. It didn’t scare my senses out of me, it was quiet, peaceful, and smooth and it passed me by quickly enough before I couldn’t see it anymore. It didn’t scare me at all. It was as peaceful as watching a butterfly. But it was already afternoon by the time I had arrived at her home and I couldn’t understand why. The above image looks like the one she saw, per the witness The above image is real and part of World UFO Photos archives. A fast moving, cylinder object was noticed crossing the horizon in approximately eight seconds in Lincoln, California. An unnamed witness reported their sighting to MUFON, which filed it in Case 82671 in its witness reporting database. 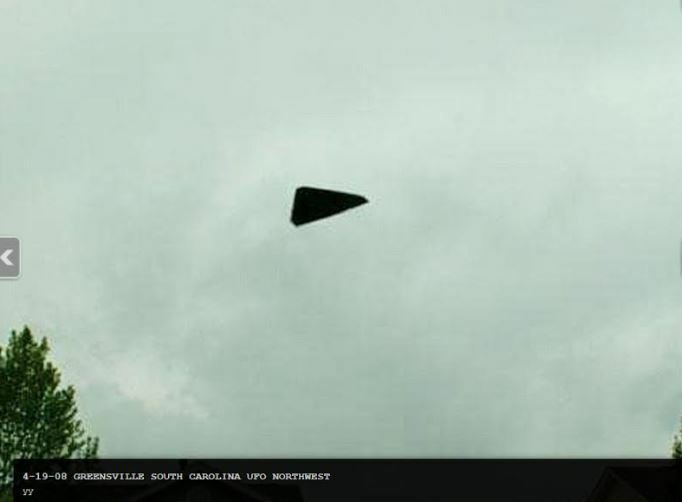 According to the report, the witness observed the mysterious object flying from the northeast to the northwest at a very high speed while sitting at a northbound stop light at 2:45 in the afternoon on March 16, 2017. The witness estimated the size to be the same as the bus flying between 1,000 and 1,200 feet up. They said that the object managed to cross 60 percent of the horizon in just around eight seconds. The witness revealed that his wife also saw the bizarre aerial thing. They thought of a drone but changed their mind when they did not see any propulsion. The reporting witness claimed that they are familiar with aircraft as a resident on several Air Force bases. Shelley Goodman, a MUFON-California field investigator, closed the case as Unknown. Goodman said that she had a chat with both witnesses, who told her that they both saw the unusual object from the intersection at 110 Lincoln Blvd in California. The reporting witness revealed to her that he was in the Air Force and that he knows all about aircraft, including its speed. The witness said that the UFO flew through the sky three times faster than any plane. The object was underneath the cloud cover when they saw it clearly.